Scottish actor David McGranaghan recently joined the cast of the West End smash Jersey Boys in the starring role of Nick Massi. 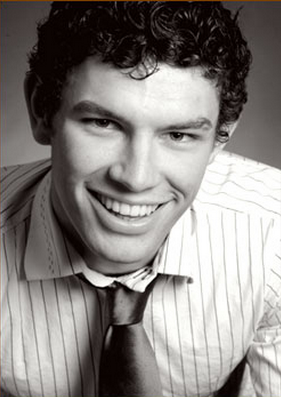 David’s impressive credits include: Colin in Chariots of Fire; Lucentio in The Taming of the Shrew; Father Damian in Be Near Me in the Donmar Warehouse/ National Theatre of Scotland production, and A Midsummer Night’s Dream, The Boyfriend and Lady Be Good at the Regent’s Park Open Air Theatre. 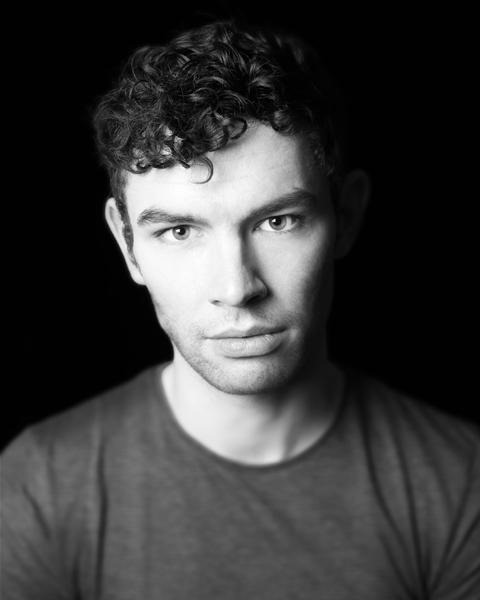 Glasgow Theatre Blog had a chance to talk to David about his path from pupil at the Dance School of Scotland to the West End via the Royal Shakespeare Company and award-winning board game inventing! 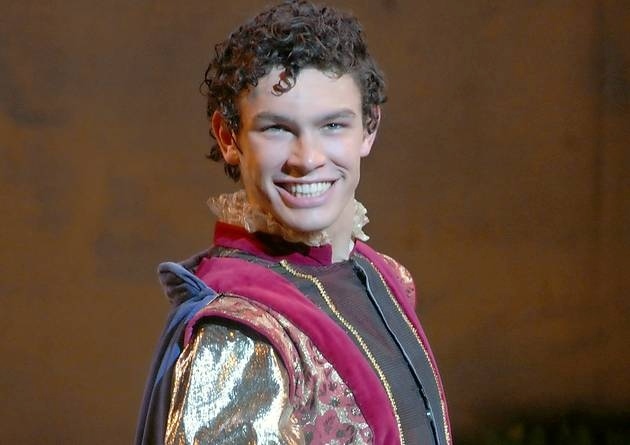 Can we go back to the start, tell us about your background and what inspired you to become an actor. I started off singing in my school’s music department. Through this came concerts and performances, so I almost fell into acting through my love for music. To move into working on scripts after performing lyrics and characters felt like a natural progression. I see that you were a pupil at the Dance School of Scotland; I have interviewed many actors for this series and a large number are alumni of the school; what do you think it is about the training there that has produced so many top-rank West End performers? I think that the teachers are very dedicated to their work, and their passion for the arts feeds into their pupils. Also they let us know from the very beginning that everything is down to hard work, so improvements are down to dedication and focus. I think from looking at myself and fellow Dance School students you can still see that in their attitude towards work and the industry. You have a very varied CV, from the RSC to the Regents Park Open Air Theatre and much more in between, what have been the highlights up to getting your current role in Jersey Boys? I have been very lucky to jump around different types of theatre however working at the Donmar Warehouse which was a co-production with The National Theatre of Scotland was a great experience. It was a play called ‘Be Near Me’ which was set in my home turf of Ayrshire, and we premiered in Kilmarnock (40 minutes from my home) before we went down to London. Of course working on four completely different productions for the Royal Shakespeare Companies 50th Anniversary Season was another highlight. Working with phenomenal directors, actors and plays, it was as good as it can get for any young actor. 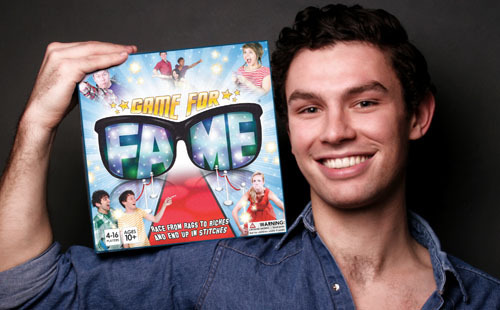 Before we talk about your starring role in Jersey Boys you are an award-winning entrepreneur, tell us about Game for Fame. Let’s talk about your current starring role as Nick Massi in Jersey Boys, tell us a bit about the role of Nick and how you have prepared for it. Nick is the bass player of the famous Four Seasons group. He is described as the ‘harmony genius’ and his three passions are music, woman and booze…in that order. Since he hates conflict or the arguments that the four guys find themselves in, he is often the quiet member of the group until he gets pushed too far and blows up. 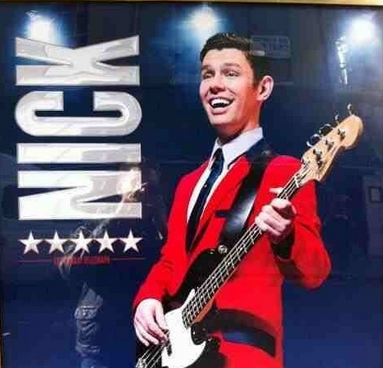 For playing Nick I taught myself Bass guitar for a start. Just playing a bass makes you feel very cool, simple and effortless, which is very much like Nick. I also did a lot of research about New Jersey, watched lots of Four Season performances with a fine tooth comb and watched movies based around the area and time of the group. After that the Jersey Boys creative team had so many stories that had been passed down from the band regarding the real Nick Massi that became a massive influence when building the character up. Jersey Boys is a phenomenal success in the West End, what is it like to join a show that is as well-established and well-loved as it is? It’s exciting and intimidating at the same time. Since I was already a fan of the show I couldn’t wait to get the red jacket on and get going, however since it’s so well known you are aware that you are handling something that is precious to a lot of people, and if you mess up you will know about it. Thankfully that cast and creatives have all been great in guiding me during the rehearsal period while still giving me the freedom to explore my own ideas. What do you think it is about Jersey Boys that makes it so popular with all age groups? The music is timeless and appeals to all generations I think. I also think good theatre appeals to anyone no matter what age group they belong to. Our older audience members will remember some of the hits when they first came out however younger theatre goers will still surprise themselves with how many hits they know. The script is also based on their true story, and I think that each character and journey can resonate with all of us. What drives you as a performer? The excitement of auditioning or working on a role that you have lots of ideas for. Trying those ideas out and learning more about the character and yourself, going back to the drawing board and improving every time (well, hopefully improving). I think that is what drives me, the constant challenge and the never ending learning and discovering. Are there any actors whom you admire or careers you’d like to emulate? Hugh Jackman. Anyone that can do Oklahoma and Wolverine in one career has to be number one. I now develop game shows for some companies off the back of Game For Fame so for one to work right through to commission would be a dream come true. Acting wise I’d love to do some Sondheim, Gabey in On The Town, work at venues such as The Globe and National and one day play MacBeth…not asking much really. What advice would you give to any aspiring actors back home in Scotland? Work hard. Put the hours in now and they will pay you back later. Finally, what words best describe David McGranaghan?